Contreras-Joya M1, Jiménez-Martín A2, Santos-Yubero FJ2, Navarro-Martínez S2, Najarro-Cid FJ2, Sánchez-Sotelo J3, Pérez-Hidalgo S2. The indications for radial head arthroplasty are essentially complex fractures with ligament damage (medial, lateral or Essex-Lopresti), and/or associated with bone damage (coronoids or olecranon). The aim of this study is to review our experience with the use of a radial head prosthesis in the context of a trauma. An observational, descriptive and retrospective study, with a follow-up of 1- 11 years, was performed on a study group of 82 patients with a mean age of 41.6 (± 9.2) years. The inclusion criteria were: patients of working age (25-64 years) with complex radial head fractures (Mason II, III, IV), with soft tissue and bone injuries that caused instability, non-reconstructable by osteosynthesis and treated using arthroplasty. The primary variables analysed were social demographics, Mason classification, or surgical aspects such as delay, surgical time, type of prosthesis (where the bipolar prosthesis was most used, 88.6%), need of fixation or further surgery. Rehabilitation time, causes of prosthesisfailure, radiological findings (according to Van-Riet), areas of loosening (according to Popovic), as well as the Mayo Elbow Performance Score (MEPS) and the Cassebaum scale. Various associated injuries were observed, such as injuries in the lateral collateral ligament of the elbow in 39% of cases, coronoid fractures in 25.6%, and an olecranon fracture in 15.9% of the series. There was one case of an Essex- Lopresti injury. The tests used for the statistical analysis were Chi squared and Fisher test for categorical variables and contingency tables. The Mann Whitney U or Kruskall Wallis tests were used for the numerical variables. Evidence level: IV. The mean surgical time was 100 (± 56.8) minutes. The prosthesis was fixed in 53.8% of cases. The mean score on the MEPS scale was 80.4 (± 19.3) points, being good-excellent in 71.6%. The elbow was stable in 93.7% of cases. There was moderate instability, with 10° or more in varus or valgus, and in 1.3% in the rest of the series. The rehabilitation time was lower in the fixed cases (P=.03), and there was greater rigidity (P=.03) and more sequelae (limitations in mobility, residual pain), (P<0.05) in the cases where the LCL had to be repaired (given that there were other serious injuries in these cases). When the surgical delay was less than one week, better results were obtained on the Cassebaum scale (P=.02), as well as more excellent results on the MEPS scale MEPS (P=.02). The prosthesis was removed in 11 cases (13.4%), with the main cause for removal being pain in pronosupination in 5 cases, and capitellar injuries in 4 cases, one dislocation, and one infections. The most frequent complication was rigidity (30.5%). There were 3 infections (3.7%). Popovic areas 1 and 7 had greater osteolysis. The presence of concomitant bone and ligament injuries determined a longer surgical time and more sequelae. Early surgery would achieve better clinical results. Las indicaciones de artroplastia de cúpula radial son esencialmente fracturas complejas con daño ligamentoso (medial, lateral o Essex-Lopresti), y/o asoaciadas a daños óseos (coronoides u olécranon). Nuestro objetivo es revisar nuestra experiencia con la utilización de prótesis de cabeza del radio en un contexto traumático. Estudio observacional, descriptivo y retrospectivo, con seguimiento de 1-11 años. El grupo de estudio tuvo un tamaño muestral de 82 pacientes, con una edad media de 41,6 años (± 9,2). 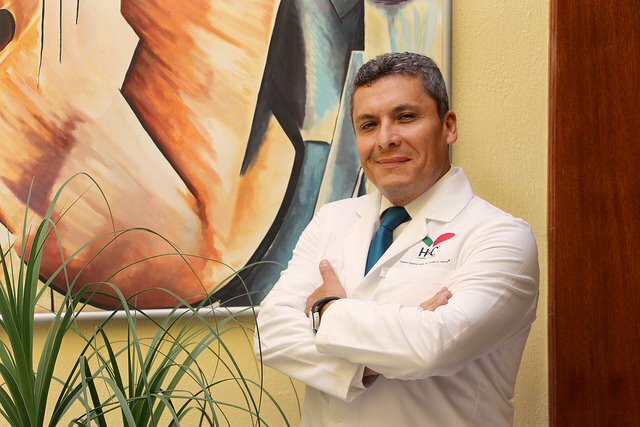 La presencia de lesiones óseas y ligamentosas concomitantes determinaba más tiempo quirúrgico y secuelas. La cirugía precoz conseguiría mejores resultados clínicos.